A 3 month adventure into releasing what’s stuck and stepping into your most empowered life. You’re a conscious human being with a big heart and a connection to your soul. You want to feel like you’re living up to your full potential. You want to make the world a better place. You do your best to be kind, be happy and live well. But there’s something holding you back. Maybe it’s those habits you wish you could change. Maybe it’s karma. Maybe it’s the leftover trauma from that thing that happened years ago. You’re done with getting in your own way. You know there’s no magic bullet. You know life won’t always be easy. But you also believe it shouldn’t be this hard. In your heart of hearts you’re ready to handle the ups and downs with more grace. You’re ready to feel like you’re acting from your deepest desires, not reacting to everyone else’s expectations and demands. You’re ready to make YOU the priority. This does not mean abandoning your friends and family, quitting your job or spending endless hours doing some strange combination of navel gazing, sweaty yoga poses and jumping jacks. It means showing up fully to your life, meeting it with courage and a deep acceptance of your own needs. It means jettisoning some of the shoulds and focusing on the want tos. It means standing in the wilds of your own heart and realizing just how beautiful it is there. 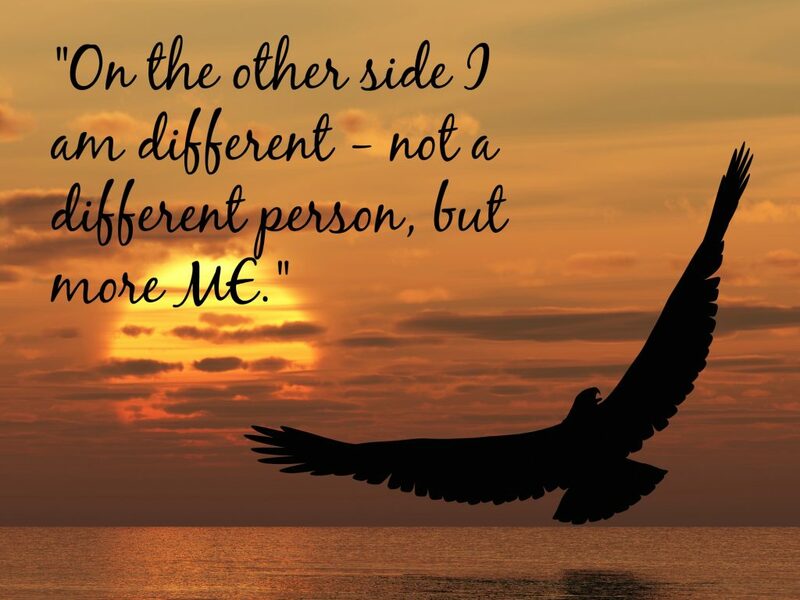 “…On the other side I am different – not a different person, but more ME. Alana held sacred space, worked her magic, and supported me every step of the way; I am eternally grateful for that.” ~ D.W. 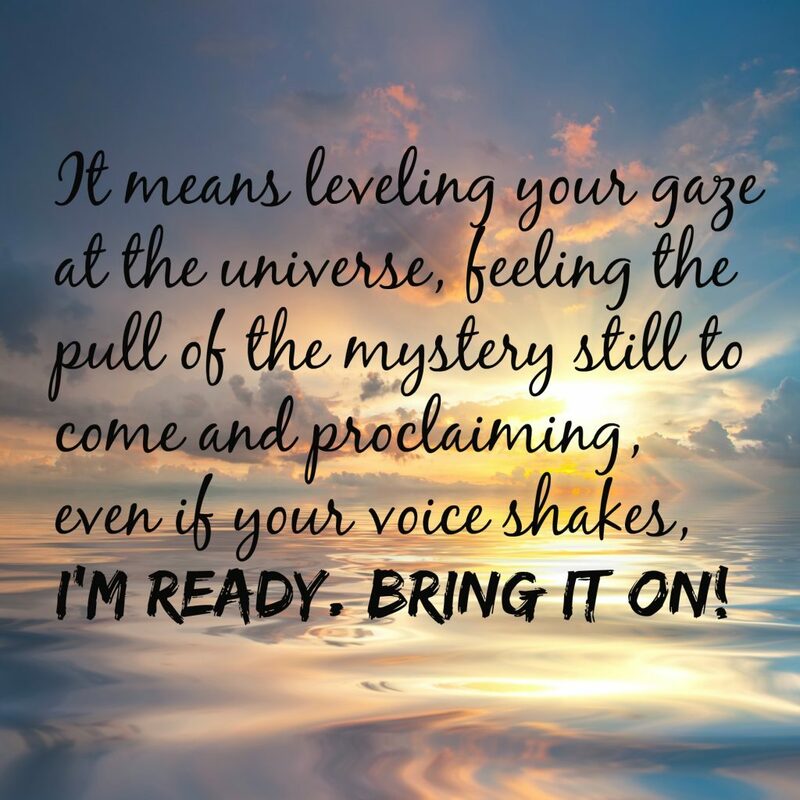 The Bring It On! Sessions include 3 months of weekly intuitive coaching and energy work, based on your individual needs and desires. There is no cookie-cutter approach here. With my training in clinical psychology and access to the world of spirit, our time together is tailored to meet you where you are and support you in the most meaningful way for you. With an experienced and knowledgeable guide, coaching is an excellent way to bring greater awareness to your life, make focused changes and grow into your full potential. With a powerful and ethical energy worker, working in the unseen world can bring about change in quick, effective and often surprising ways. Combine them together and you have a recipe for magic. I also know that YOU have to show up fully. You can’t sit back and expect the world to change around you. This work is awe-inspiring, exciting and not for the feint of heart. It takes courage and a willingness to shine a light in the dark places. It asks for immense amounts of personal responsibility and in turn, provides jaw-dropping rewards. A one-hour coaching call at the beginning of each month we work together. This is where we dive into what’s been coming up for you, what’s holding you back and where you want to go. Three 20-minute follow up calls in each of the next three weeks. We check in. You tell me what’s feeling good and where the stuck places are. We celebrate the good stuff, honor the hard stuff and figure out what’s next. Energy clearing work, done for you each week, based on our conversations. This is customized to your needs and can include energy clearing for you, your relationships, your chakras, current situations in your life, focused areas that feel particularly stuck, and karmic or ancestral patterns. Your personal 9 Star Ki profile, an ancient system of astrology that will help you understand why you do/think/feel the way you do + information on the energy of the year you’re in and how to best work with it. Other services that will support you, as needed, including meditation and spiritual practice recommendations, entity removal and spirit release. Access to me in between calls via email or the Voxer app to share quick updates and ask for extra support if needed. You are already relatively self-aware and don’t have any major unprocessed trauma (meaning if you have trauma in your past, you have worked with a therapist or counselor at some point). You are willing to devote focused time and energy to yourself for these 3 months. “I came into the [Bring It On! Sessions] wanting to be more in my power and to feel more confident, and I finished the program with a huge difference in that area of my life. I’ve made huge shifts in money mindset – HUGE. That’s a lot of huge! Hehe. I’m more confident which allows me to sink further into who I am, and I’m less afraid to show up wholly me. I’ve got a new level of trust that has been building in the last few years, and this strengthened it. Trust that all is well, trust that I am divinely supported, trust that I am enough.” ~ D.S. If you’ve already done a Fresh Start with me, you know the effects of this work are deep. This is the most intensive and powerful way I know to help you create your most magical life. Are you ready to say Yes? Fill out this form and let’s see if we’re a good match. Have questions? Schedule a free 15 minute, no-pressure conversation.